It’s not surprising that with this thought in mind a Mosque as huge as Al Rifa’i was built during the time of Khedive Isma’il. The colossal size of the mosque is most striking. It is located in Midan El Qala’a, right below the Citadel. It wasn’t hard to reach the Mosque of Al Rifa’i, located right next to that of Sultan Hassan. Once in the enclosure, the hustle and bustle of the busy streets was left behind and the pedestrian enclosure seemed to introduce a certain ambiguity as to what lies behind those huge stone walls. Once we climbed the huge flight of stairs, the atmosphere was completely transferred as we entered a cool and gently lit interior. 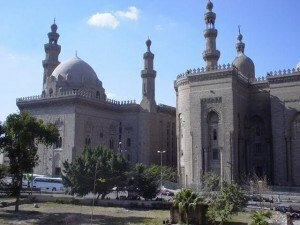 As opposed to the Mosque of Sultan Hassan, the Mosque of El Rifa’i speaks mainly of the modern history of the last Egyptian royal dynasty and serves as the final resting place for many of them. It was Khushyar Hanim, the mother of the 10th Century Wali of Egypt Khedevi Isma’il, who originally commissioned the expansion of an already existing Zawiya of the Medieval Islamic Saint Ahmad Al Rifa’i. Many made and still make pilgrimages to this small Zawiya as the tomb of this local saint is believed to have mystical healing powers. Not only were the innovations meant to colossally expand the Zawiya into a mosque but to make it also a mausoleum for the royal family. 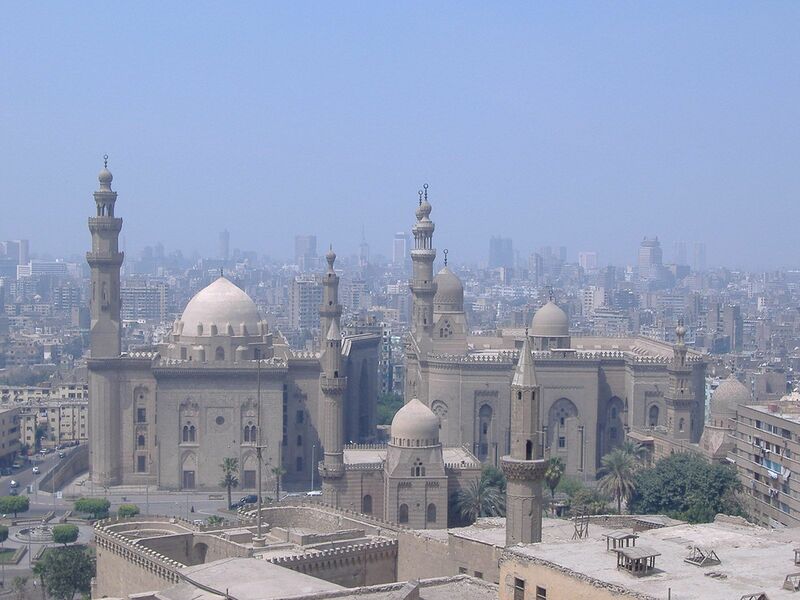 Building the Royal Mosque, as it was known at the time, was part of a campaign by the royal family to associate themselves with the past glories of Egypt, by building it next to Mamluk Mosque of Sultan Hassan. 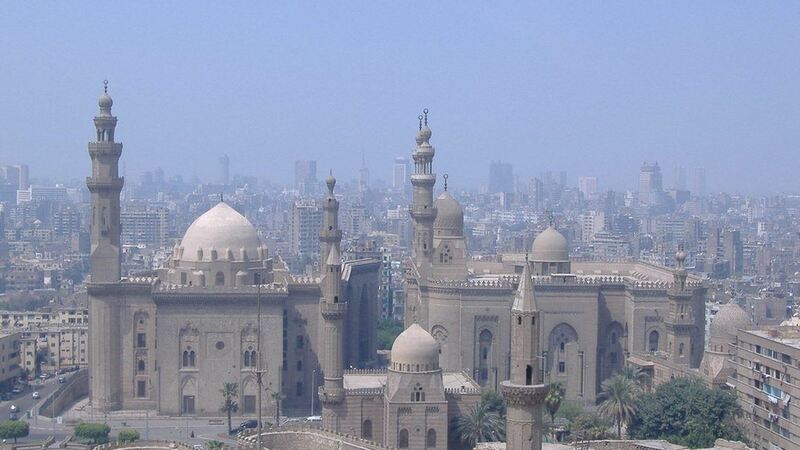 Architecturally the style of the mosque is derived from the Mamluk period as seen in the Dome and Minaret. It was also an attempt to modernize the city by constructing it next to two large public squares and off of several European style boulevards constructed at the same time. The Mosque of Al Rifa’i also serves as the resting place to many members of the royal family and local saints. It contains the shrines of Ali Abi-Shubbak and Yahya al Ansari, whom until today are visited. The moulid of Al Rifa’i is held there annually where many people and religious groups camp outside the Mosque and read Quran, pray and perform Sufi Zikr and dancing for several days and nights. The mosque is also the resting place of Khushyar Hanem, her son Isma’il Pasha, King Farouk, the last king of this dynasty who abdicated the throne in 1952 and his late daughter Ferial. 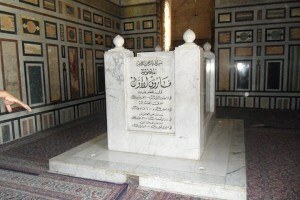 It also serves as the resting place of Reza Shah Pahlavi’s son, Mohamed Reza who died in Cairo in 1980. It is highly recommendable to visit the enclosure of the two Mosques. There’s a serene and mystic atmosphere inside both Mosques as they were and still remain a place for Sufi Zikr and religious performance. There’s also some beautiful calligraphy inside both Mosques on the tombstones and walls. Moreover, if the weather is hot, so don’t worry; as the thick and high stone walls and dim lights fill both Mosques with very cool air. However, remember that you take off your shoes before entering any Mosque, so wear something that’s easier to put on and off. And ladies are required to wear something conservative and out of respect cover (even if loosely) their hair.